Many of you will doubtlessly have shied away from the free weights area of the gym because you are frightened of becoming muscle-bound…if only it were that easy! Ask any serious bodybuilder how much time and energy they invest into their workout regime to get “big”, and their answer would truly scare you. Venturing into the free weights section of your flexible no-contract London gym will not by itself make you big, but you should do it. Here we examine the reality of weights and the benefits that they can bring to anyone who “dares” to lift. So if you’re a little hesitant, reticent, or simply do not understand why you should lift weights then read on. The first thing that you need to consider is the way in which you define the effects of lifting weights. If you are automatically thinking of muscles, then you might shy away from them. Of course, muscles are not bad, but if you are struggling with the concept then think of it as a strength instead. This strength is also not limited to your workouts in the flexible no-contract London gym; it will benefit your day to day life too! Housework, shopping, and chores will all seem more comfortable, and there is invisible strength gained too. Your bones will become denser thus reducing the risk of osteoporosis and even arthritis. An increase in your strength levels will also reduce the overall risk of injury, and you’ll, of course, understand that nothing stops your training quicker than an injury! 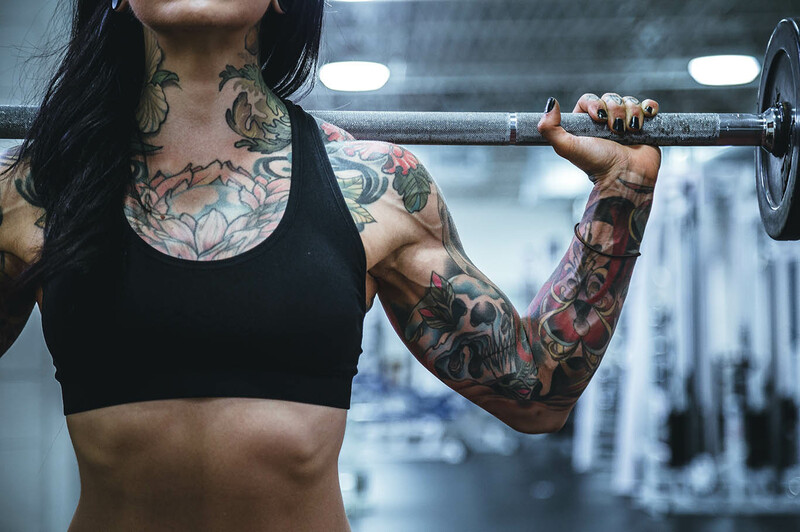 Lifting weights can help you burn off that pesky fat, because muscle tissue tends to be more metabolically active than fat, and will burn more calories. You might not think that lifting weights can help you with your balance or stability, but you’d be wrong. Strengthening your core will help your posture and your flexibility. Lifting weights tests the joints and muscles through their full range of motion, meaning that they are equally strengthened, and become more stable. The only sports that many people associate with lifting weights is, of course, bodybuilding/weightlifting. But this is a very narrow-minded view. If you think of professional athletes and their physiques, then you’ll realize just how many sportspeople have muscular, toned bodies. Think of boxers, runners, swimmers, and basketball players. The strength gained from lifting weights improves their ability to run faster, jump higher and move more explosively. For too long the physical benefits of exercise have been the prime focus for people. But there are other benefits that can be gained too. You can improve your wellbeing, mood, and state of mind through lifting weights and that goes beyond the normal endorphin rush associated with exercise. Through lifting weights you will quickly notice physical changes and progression, and this feeds into the positive mind-set. It is easy to notice improvements in the amount that you can lift, or the number of repetitions, as well as seeing muscle growth and development visually. Over time it has also been shown that lifting weights can help lower and thereafter maintain healthier blood pressure levels in individuals. Don’t forget that the most important organ of them all – the heart, is just one big muscle! Cardiovascular workouts are great of course, but if you keep doing the same thing, it can become tiresome, and when something is boring or repetitive, you can lose interest. Lose enough interest in your fitness and you might stop training altogether – which is a terrible decision. So adding weights and strength training into the mix will keep things feeling fresh and interesting, and that way you’ll keep doing it. Life is tough, you feel busy, hassled, rushed and often stressed. Many have found that the introduction of weight training into their regime has given them a “pick-me-up” (no pun intended). Lifting weights can have a profound effect on your mood, so much so that life will seem so much better after you’ve finished a tough session – sounds crazy, but if you’re already a gym goer, you’ll understand. It might not end up being for everybody, but that does not mean that everybody should not give lifting weights a try. You won’t bulk up overnight, but you will tone up over time and that’s a goal many of you will have. Add to that the strength that you will gain both physically and mentally, and suddenly lifting weights seems like the only thing you should be doing. So get lifting! Hi, I’m Alla, a life-loving, entrepreneurial spirit who can’t get enough of business innovations, arts, not ordinary people and adventures. My mission is to help you grow in your creativity, travel the world, and live life to the absolute fullest! Affiliate Marketing vs. Google Adsense. 9 of Scotland’s Most Jaw-Dropping Locations. Internet Vibes is a Lifestyle and Business Blog inspiring creative and multi-talented people with entrepreneurial spirit and love for exploration. Travel, arts, business, lifestyle, and survival hacks to empower every mind to chase goals and live a bright and unique life. Where to buy medications ? How to cure impotence with pills? You can buy viagra australia online easily. For UK customers look at cialis singapore prices. In Scandinavia best place is cialis i danmark online.